The Best Me I Can Be: I Am Creative! Being creative lets you think about things in a brand new way! You can make up new things to do, or find original ways to solve problems. You can have fun being artistic, or sing songs, or build cities out of toy blocks. Creativity lets you be unique. How do you want to use yours? 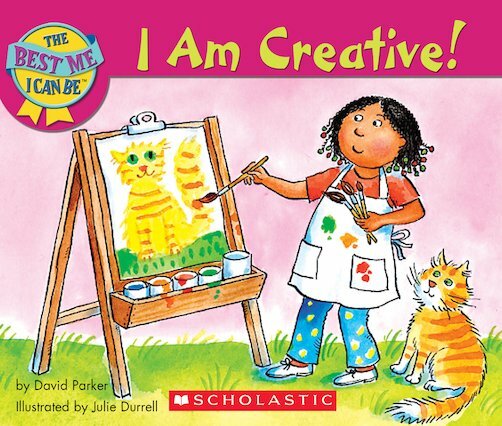 This vibrantly illustrated first guide inspires pre-schoolers to develop their creativity.